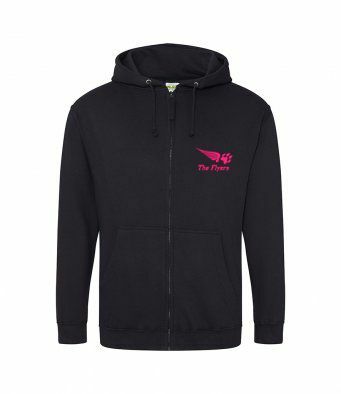 The Flyers Zip hoodie, in black, with club logo on left breast and large logo on the back. Covered full length plastic zip with self colour twill tape puller. Right front pocket has a small hidden opening for ear phone cord feed.